Have you ever wondered why French women seem to eat well, enjoy food and wine, and yet the country has about one-third the obesity rates of countries like the US and Australia? 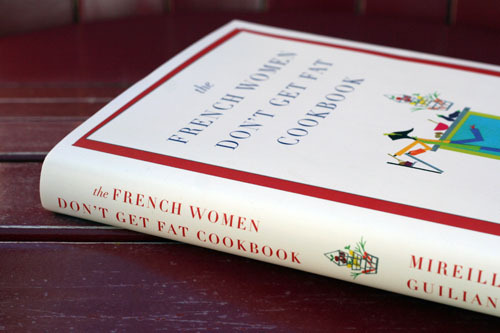 Well, Mireille Guiliano wrote a book called 'French Women Don't Get Fat' a while ago. Based on this book, Sonja Rose documented a clear summary of the top 10 tips discussed in the book. I thought these would be very helpful. No more guilty eating. This practice has ruined food for American women. Just a few bites of a dish are all you really need to enjoy it. The pleasure of most foods is in the firsts few bites. Learn portion control. Cut back on everything - your body will appreciate it. Make eating time a special time. Eat slowly and chew your food. It’s okay to have chocolate, cheese, wine and champagne every day if you want. Watch portions, savor every bite - and no guilt allowed!